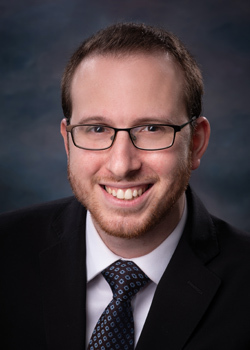 Etan Israel joined The CFO Squad as a Senior Accountant after working as a Senior in the audit department of a public accounting firm in New York. Etan is responsible for providing financial reporting and consulting services to public and nonpublic companies. He works closely with his clients to facilitate their review and audit processes by handling account reconciliations and preparing financial statements. Etan also works as the outsourced Controller at one of our clients overseeing their bookkeeping and payroll departments and assists the team on various engagements including due diligence, mergers and acquisitions, and financial projections. Etan’s prior experience includes auditing of financial statement for not-for-profit and health care entities, including nursing homes and dialysis centers. Etan was involved in all areas of audit engagements from start to completion, including engagement planning and scheduling, developing audit programs, determining risk assessment and evaluating internal controls, account analysis, financial statements and the audit opinion. He also has experience with audits of pension plans, cost reports, and A-133 Single Audits (Uniform Guidance). Etan holds a Bachelor of Science in Accounting from Touro College.